Hello one and all! Because of the popularity of the Free! Eternal Summer video as well as demand from readers/viewers, Lilac Talks Dubs is going to be a new series for the blog! And I thought today's episode would be a show that I've reviewed a couple years ago, but fairly recently got an english dub. That's right! 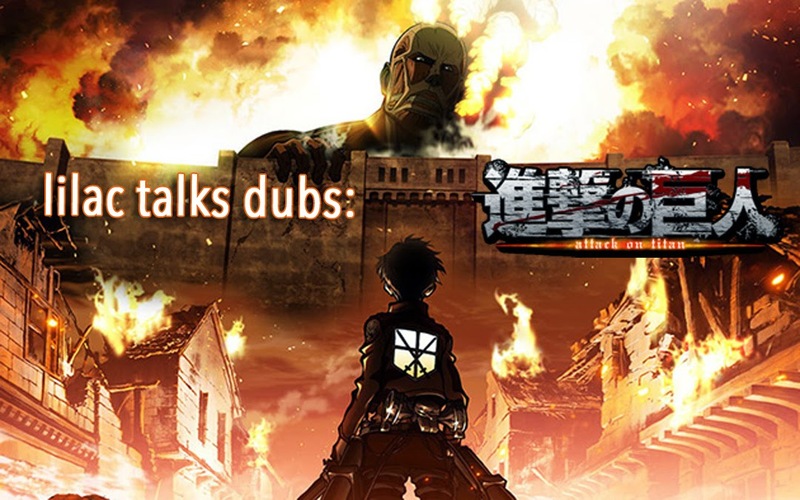 We're talking about the dub for Attack on Titan! MAKE SURE TO STAY TILL THE END FOR A FUN ANNOUNCEMENT!! Hi me from last April! Nice to see your doing well!